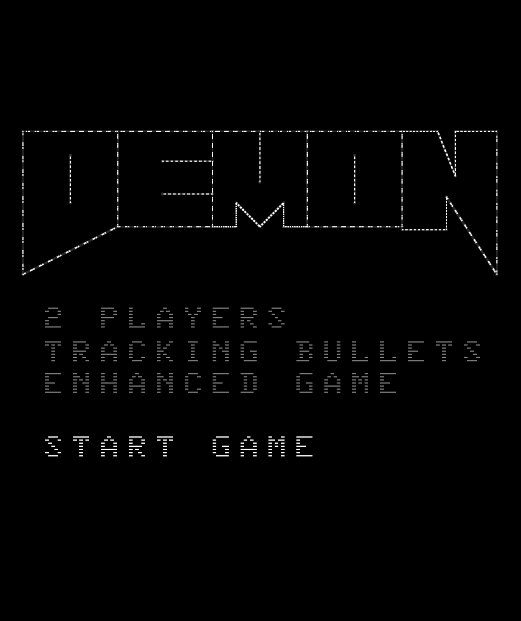 Demon is a spaceship shoot-em-up game inspired by the Atari 2600 game ‘Demon Attack’ by Imagic. 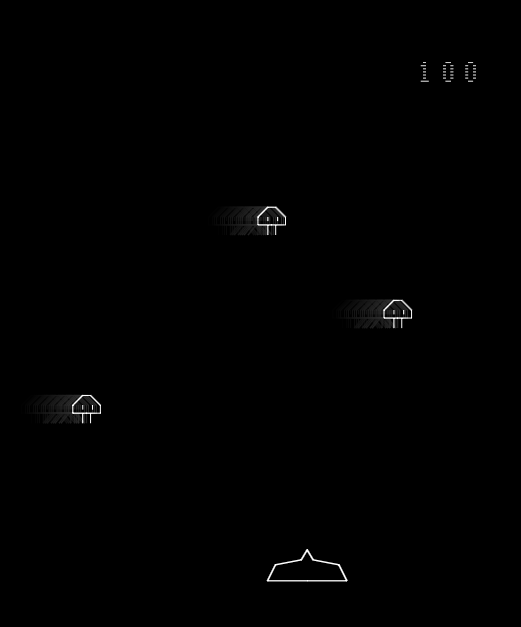 Nagoya Attack is a ‘Space Invaders’ inspired shoot-em-up game which requires quick thinking and memorisation to progress. 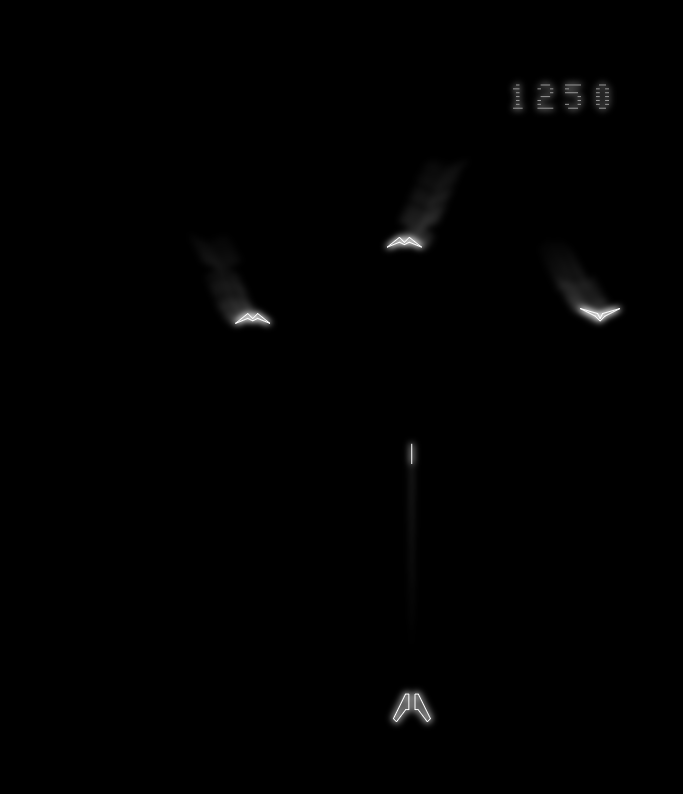 *Please note* Game screenshots are from early versions of the games on the ParaJVE emulator. Game appearance may differ from the finished product. Looking forward to the cartridge version of the games! Waiting for the upcoming stuff… great work! Can´t wait for those games to be released! Are these carts available yet. I am very interested in purchasing Death Chase and Reaktor, and probably the others as well! Yes, I’m interested as well – please contact me when these carts are made available. Can’t afford a cartridge, but will donate if you release ROMs. looking to purchase any of these games that are available. how do I accomplish this? Thank for your interest. Sign up to the newsletter to be informed when these releases go on sale. All seems to be great games! Specially (for me) Frogs’n Flies as I love Frog Bog on my Inty system. Please offer all original options (tongue, jump in water or not, …) and perhaps more game modes instead of making a boring Frog Feast-like! Congrats for making new vectrex games, your Xmas cart is great! Looking forward to all of these. WOW, I just discovered your site. Well, I actually found out about it during the holidays, but just realized I can get on the mailing list for upcoming games. Can’t wait, your games look great. I have the NOX wrap on order. I can’t wait to purchase NOX with the overlay. Is there a reserve list or is it first come-first served? NOX/Death Chase will be available ‘soon’ (hopefully before the end of the year). Unfotunately we have been patiently waiting on the overlays being produced since February! (Lots of problems getting the correct colours). There is no preorder list. Once the games are ready to ship, it will be announced on the subscriber email and on this website. Please sign me up for your newsletter. All your games look fantastic. Definitely want carts and overlays. Thanks for ur great work! Thanks Chris (and Jim?) for this beautiful work ! I’m really excited to see some new overlays! Please keep me up to date on game availability. Also signed up for the newsletter! All of these are still ‘coming soon’. Currently planned for cartridge release are : Galaxy Wars SL followed by Nox/Death Chase and then a compilation cartridge (to be sold via Packrat). After that it’ll be Frogs n Flies/Vector Pong then Demon Attack/Nagoya Attack. With a bit of luck (and a lot of hard work 😉 ) all of those will be released in 2016. Very good news. I love new vectrex games! please sign me for up for the newsletter, thanks! i like your work from the start ^_^… please get me involved to get a cart. Want you Nox/ Death Race cart please ..
signing up for the newsletter! Sign me up for a cart of non please! Want to order NOX, is it available? Also sign up for newsletter. Can’t wait to pick up copies of both Nox and Death Chase! Haven’t bought a homebrew for a while, but these seem worth it! Want all your releases. Put me on the list and take my money!! Please put me on the list to buy NOX / Death Chase. Can’t wait for Nagoya Attack! Looks great. Just discovered your site. Do you accept paypal only? Usually yes. If you’d like to pay another way, just let me know how you’d like to pay. Vectrex is not a past . It’s a future !